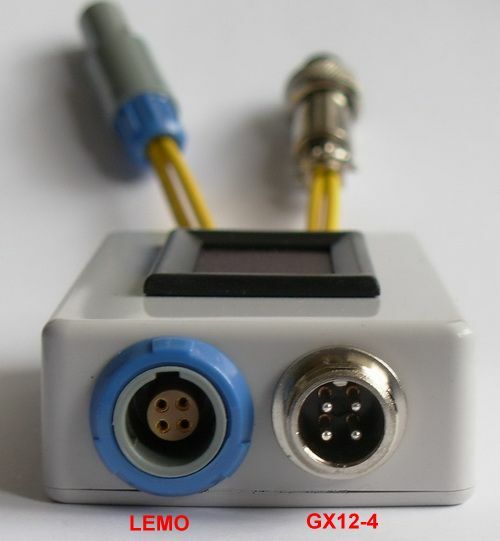 Ninebot uses two types of connectors for it wheels, Lemo and GX12. 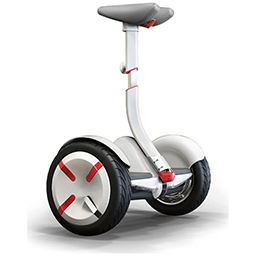 Batteries of Ninebot wheels are of type 15S (15 cells in series), odd value since the majority of unicycles use 16S batteries, except InMotion and some Gotway wheels with 20S batteries. 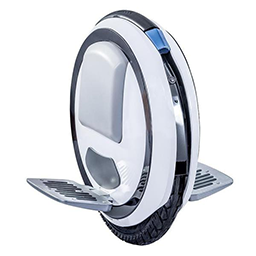 Not so odd after all but more probably a marketing ploy from Ninebot to make its products in-compatible with others’ in order to charge eye-watering prices for spare parts (batteries & charger). This entry was posted in Batteries, Charge Doctor on 8 November 2016 by admin. What is the recommended charge current ? Now that the Charge Doctor 10A V2 is available, the question of charging at 4A or more has been frequently asked. A higher charge current reduces charging time but does it reduce the lifetime of the battery? Answer: it depends on the battery’s “1C” value. If 1C value is 2Ah, a “1C charge” means charging at 2A. It is a convenient normalisation to determine wether the charge current is too high or not, and thus its impact on the battery’s lifetime. 2C charge is a fast charge. It is not recommended (it can apply in RC model world but on LiPo batteries, not LiIon). 1C charge is acceptable but may decrease the battery lifetime. A lot of electric unicycles have 130Wh batteries (Solowheel, Airwheel X3 et clones, Ninebot E…) so they are charged at 1C by a 2A standard charger. 0,5C charge is a slow charge and may be a good compromise between charging time and battery lifetime. 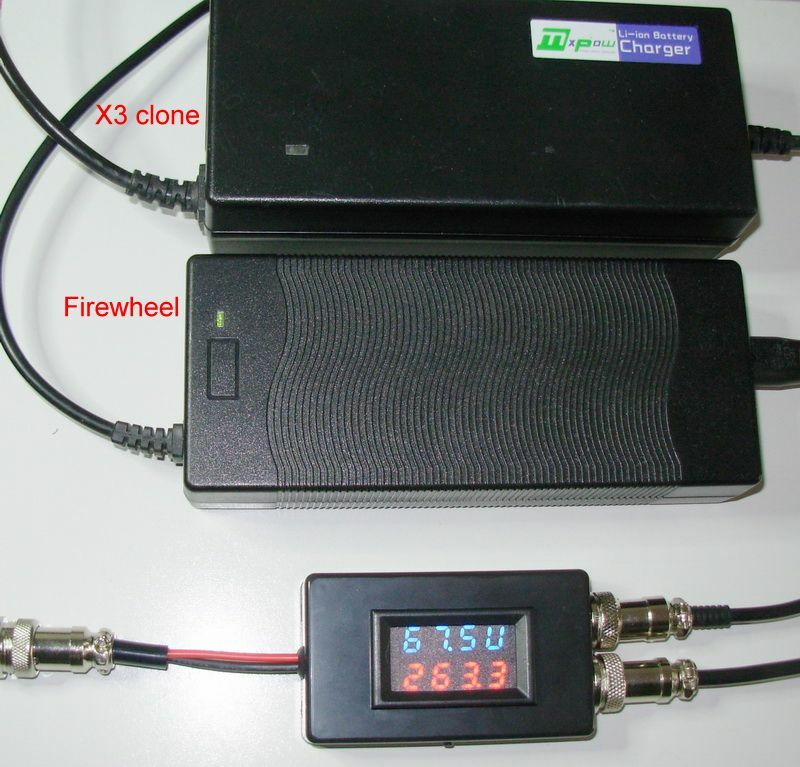 A 260Wh battery (Firewheel 260) is charged at 0,5C by a 2A standard charger. 0,2C charge is considered a very soft charge. With a 680Wh battery for example, a 1C charge means the charge current is 12A! So a 4A or 6A charge (by connecting in parallel a charger 4A + charger 2A or 2A 3 chargers) remains a “slow” charge. Even seemingly so high currents should not affect the battery lifetime. Of course, preserving lifetime also means avoiding overload and deep discharge, the subject of a previous post. 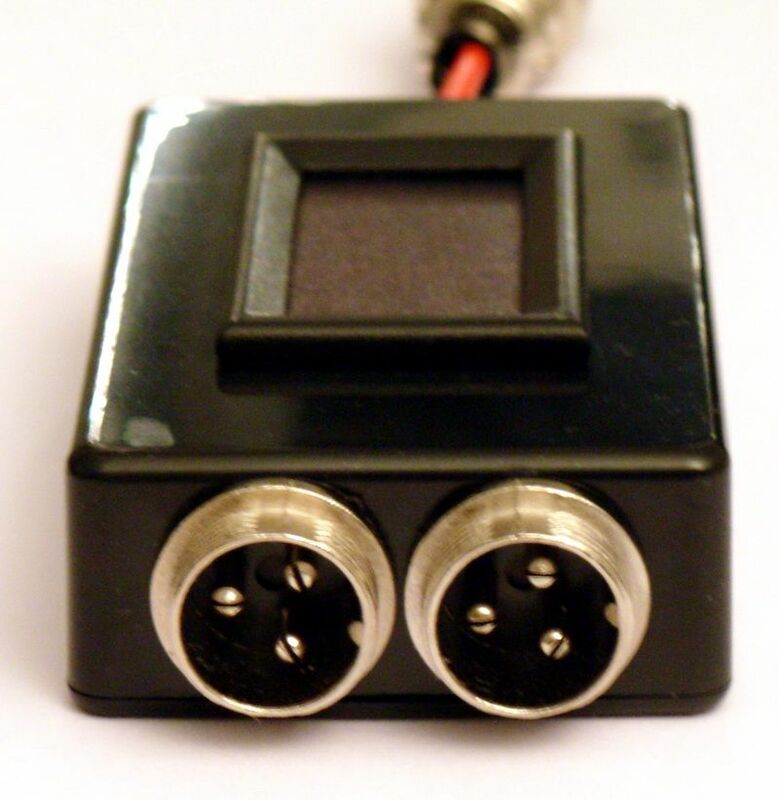 The Charge Doctor V2 has a option with 2-input connectors to connect in parallel two chargers. Owners of large batteries will have more connection options (see table below) and can mount a cheap 4A charger using two standard and ubiquitous 2A chargers. * for currents above 4A , the charging wires (between the BMS and the wheel’s charge connector) are too thin and must be replaced by thicker wires. The battery is a 260Wh type and is empty (ridden until pedals tilt-up) before data measurements. The charging curves were sampled using the Charge Doctor’s serial output. 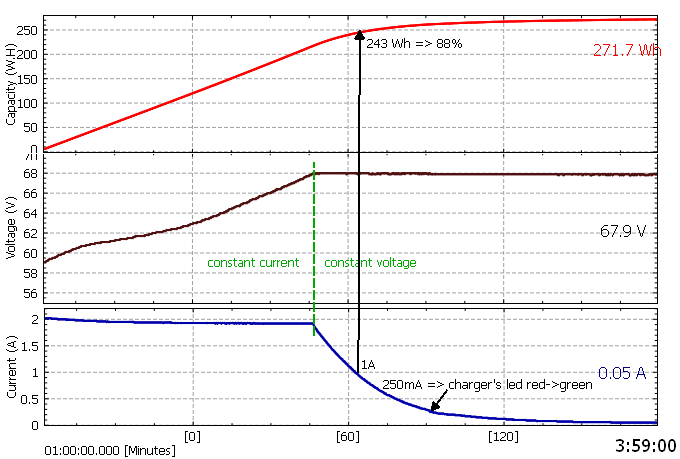 The 4A charging graph can be compared to a 2A graph of the same 260Wh battery. Charging from empty to 90% capacity lasts about 1 hour, meaning charge time has been divided by 2! 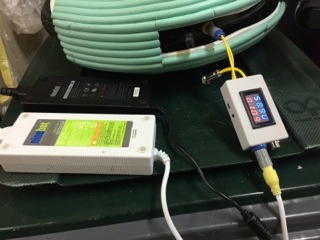 Note 1: when connecting the second charger (A-> B), the internal resistance of the battery can be estimated from the voltage jump : R = deltaV / deltaA = (60-57.4) / (3.99-2.03), or R = 1.3 ohms. 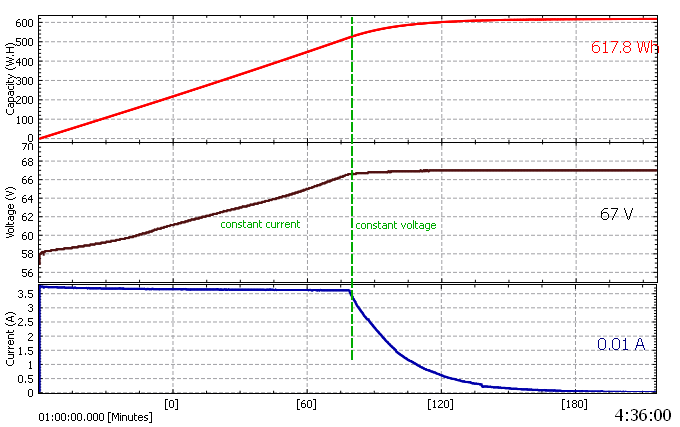 It’s a rather high resistance typical of LiIon batteries (LiPos have lower internal resistance). This explains the big voltage sag I observe on my Firewheel when accelerating, with the fuel indicator dropping momentarily from 50% to 20%. Bigger batteries, eg 520Wh, would probably have much smaller R.
Note 2: setting automatic cutoff at 0.7A stops the charge session at 93% capacity, a value consistent with results from a 2A charge. The correspondence between cutoff current and % of charge seems to depends only on battery capacity, not on load current. A ballpark value would be 1A threshold => 90% of charge for a 260Wh battery. Note 3: charging from 93% up to 100% takes as much time as charging from 0% to 93%, so the last drops of charge are usually not really worth it. Warning: in theory, connecting two chargers in parallel poses no risk to the chargers. At least, on the chargers used so far since I don’t have any negative feedback from the first users. But given the many different charger models, I can not certify 100% that it would work on your specific chargers. So to test it knowingly. 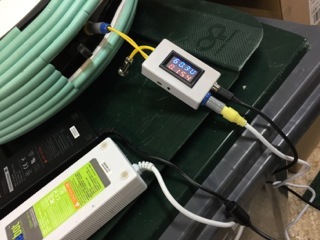 Connecting chargers in parallel is a hack well worth trying for frequent riders and/or owners of large batteries> 260Wh. Warning: Lithium batteries charging is not without risk, all the more with high currents. So do not neglect the usual precautions : do not charge without being nearby, install a fire detector, keep valuables far from the wheel, wait until the battery is cold after a ride before charging… Stick to the precaution rules and don’t let routine induce you into complacency. Edit 20/03/2016 : add graph Gotway MSuper 850, fast charge with two 1.75A Gotway chargers. Data Thomas T.
Apparently, it’s a 680Wh battery and the 850Wh nameplate value is false ! This entry was posted in Batteries, Charge Doctor, Technique on 29 February 2016 by admin. For maximum battery life, it is best to avoid overdischarge and overcharge. It is generally admitted that the ideal range should be within 20% to 90% of full charge, to be kept as often as necessary, when possible, especially for happy owners of large capacity batteries like 520Wh of the Firewheel F520, even 680Wh (!) on some Gotway or KingSong wheels. On electric monocycles or other electric wheelies (bike, hoverboard, bikeboard, gyropods…), overdischarge is avoided by the main controller board by warning and stopping. But all of them are designed to charge to full charge, which is contrary to recommanded practices above. It is nonetheless what happens with all products for obvious marketing reasons since price is in part determined by the nameplate battery capacity, which corresponds to a full charge. The Charge Doctor V2 auto-shutdown function is precisely intended to address this inconvenience by cutting power when charge current drops under a user adjustable threshold to avoid overcharge. The auto-shutdown can of course be disabled so Charge Doctor V2 would function as any conventionnal (advanced) charge monitor. Important : a full charge is still required occasionnaly, e.g. 1 every 10 or 20 charging sessions, to ensure the BMS ( (battery management system, the embedded battery controler board) would trigger charge balancing. Balancing, whose importance is most often exagerated, is still necessary on Lithium batteries. So plan some 100% full charges from time to time if you decide to mostly charge to 80% or 90%. An example of charge session with auto-shutdown is described below to highlight important points of this process. 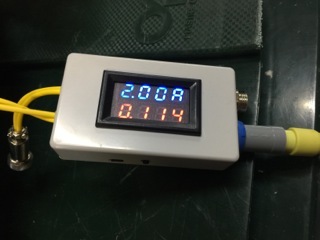 It is the charge of my Firewheel F260 (batteries 16S2P, 260Wh stated capacity), datalogging is by Charge Doctor V2 and graphic display is by KST (see “Graphic Display” post for more details on how to use these tools). The Firewheel was driven until pedals tilt-up, meaning the battery was empty before charging (voltage starts at 57.7V ie 3.6V, see “How to take care of your unicycle batteries‘). Charger is a 2A version and auto-shutdown threshold has been adjusted to 1.4A. The total datalogging duration is 3h34min30s (bottom-right number on the graph). The charge session begins by the constant-current stage at 2A, lasting about 100 minutes, until A. 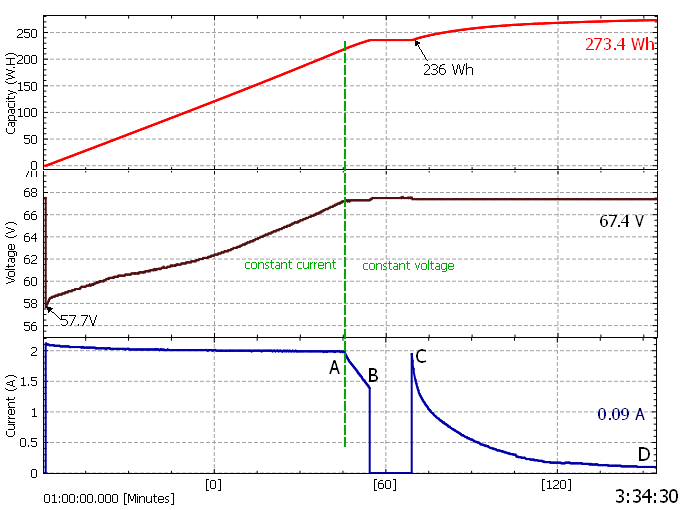 Then constant voltage stage kicks in : voltage remains at 67.3V and stop increasing since it corresponds to 4.2V, the maximum voltage per cell. Note that, theorically, reaching the constant voltage phase should be sufficient to trigger cell-balancing by the BMS. After point A, current drops rapidly to point B, where Charge Doctor shutdowns current automatically. At C, Charge Doctor is switched on again to resume charging to point D, where the battery is virtually 100% full. This full charge graph leads to the correspondance table of currrent threshold – % charge below (values are taken directly from the file “log.txt”). For example, a 1.0A threshold will end charging at 90% capacity. 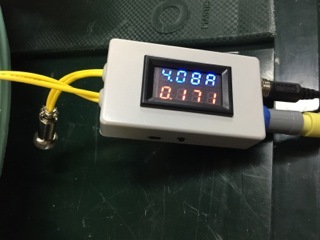 For 4A or 5A fast chargers and/or different batteries, thresholds are naturally different so such graph must be logged initially by the user to determine the characteristics of his personal setup. N.B. with the Firewheel charger, charge current does not drop to zero, even after hours (even after a night according to my tests). This means that the charger does not cut current at end of charge which is really bad for lithium batteries! My other chargers don’t behave like this, fortunately. Anyway, all chargers systematically charge to full capacity, which is always above the 90% recommanded level. So use the Charge Doctor V2 auto-shutdown, when you can. This entry was posted in Batteries, Charge Doctor on 7 February 2016 by admin. Most unicycles use 16 LiIon battery cell packs. There are a few variants, InMotion battery has 18 cells, Pinwheel uses Lipo batteries, first generation Solowheels have LiFePo batteries, so the thresholds listed below are to be adapted but the operating principle remains unchanged. All batteries have a BMS board (battery management system) to manage the cells, especially to balance the voltages of 16 cells and to automatically shut off charging current to prevent overcharge. A large majority of BMS also features overdischarge protection by cutting off power (without warning !!! ), a horribly faulty design responsible for countless accidents, sometimes serious, see this blog’s BMS many articles. Note that according to Shane Chen himself, Solowheel’s founder and popularizer of the electric unicycle concept, his BMS never cuts off power during a ride (vital requirement for an unicycle!). If the battery has a problem, the BMS just reports it to the mainboard thanks to a dedicated signal wire, the only reasonnable thing to do. To double the capacity of a 16S1P battery pack, an additional cell is welded in parallel to each existing cell to make a 16S2P (16 series or 2 parallel cells). Smallexis made such mod for his Airwheel Q3 battery, find it with the “search” button). To triple the capacity, add two cells (16S3P), to quadruple, add 3 cells (16S4P eg on the Firewheel 680Wh). The most common variant is two parallel packs, each with its own BMS, eg two packs 340Wh in parallel to have a capacity of 680Wh (Gotways). Here are some important values for a ? ?LiIon pack. They are useful to know to charge & discharge properly, to make a quick diagnosis in case of the wheel’s power supply problem and to monitor battery (inevitable) aging. (1) the battery may not be destroyed by such a low voltage, it only “takes a hit”. This is a deep discharge state. Avoid at all costs ! (2) this limit is normally never reached because the wheel’s mainboard emits low voltage warnings (buzzer and/or pedals tilt-up) and forces the rider to descend before. If you have this value or lower, then your package has a problem, usually some defective cells. (4) indicative value, may vary. Use this value to get 50% charge state for storage (a Charge Doctor counting capacity from voltage and current would be much more accurate). The goal is not to store the battery neither full (high voltages tend to stress the cell’s electrolytes separation membrane), nor empty to avoid self-discharge from deeply discharging the battery (see (1)). (6) after the load, open circuit (no load) voltage tends to sag, especially if the battery is old. (8) constant voltage charging zone: the charge current gradually decreases. When it is below a few tens of mA, the load is automatically switched off by the BMS. It can also be manually turned off by the user when the red LED on the charger switches to green, which corresponds to a charging current less than 0.25A. At this point, the battery is almost 100%, keeping on charging is unnecessary because only a few Wh would be added. (8) The voltage at the charging socket (read by the Doctor load) may be 68V due to the BMS’s voltage drop, especially the reverse voltage protection diode. It is preferable to not charge more than 90% (even 80%), nor to discharge to less than 10% of the nominal capacity in order of the reduce stress to the battery. It’s not always possible with low capacity batteries (eg 130Wh) so if you have a beefy battery, just do it. A 100% charge or discharge to 0% results in a more stress to the electrolyte separation membrane and the electrodes respectively and reduces the number of usefull charge / discharge cycles. A LiIon battery does NOT like overcharge. 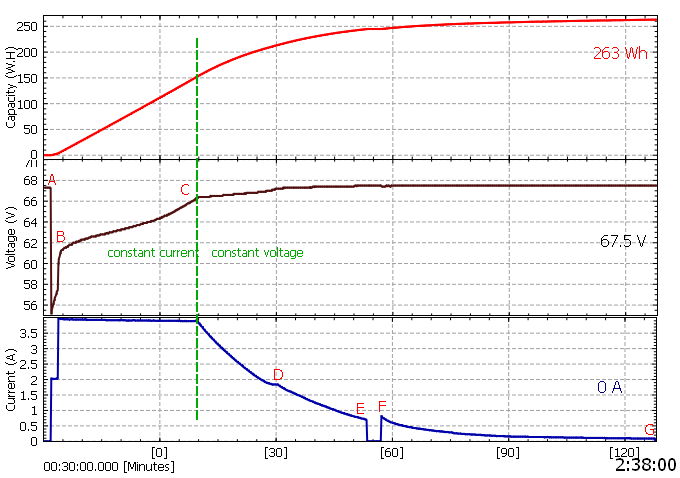 Most of the times, it’s OK to stop charging when the current drops below 1A on a 2-ampere chargers (see graph). For discharge, the wheels stop early enough by raising the pedals so that we do not have to worry about a deep discharge. If the wheel is not used for a long time, eg more than a year, the battery should be voltage monitored and if necessary recharged to 50% to compensate for self discharge. However, LiIon battery’s self-discharge is very small (compared to NiCd or NiMh batteries) so checking it every year is enough. Log at least once the battery charging curve (using the Charge Doctor) and store it for later comparison in case of problems or to find the battery aging conditions after a few months or years of use. The reference curve gives a lot of important information, including how to determine the duration for charging to 90% (read the voltage at the beginning of charge, place the point on the curven use the x-axis to determine the time it takes for current fall below 1A, and use this duration to end the charge). This entry was posted in Batteries, Charge Doctor, Reference on 8 August 2015 by admin. This entry was posted in Batteries, BMS, Reference on 24 July 2015 by admin. This entry was posted in Batteries, BMS on 22 July 2015 by admin. This entry was posted in Batteries, BMS, Reference, Technique on 21 July 2015 by admin. The A2 wheel is a generic X3 clone. The wheeler had a power cut because of a defective cell. After the shunt, no more power shutdown, even if the defective cell has not yet been replaced. All that happens then is a much less powerfull wheel because the defective cell (to be replaced) behaves like a short, leaving a battery pack with lower voltage, though a much more preferable and manageable situation than a sudden cutoff. More evidence of the criminally stupid idea of integrating a cutoff circuitry in an electric unicycle. P.S. The wheel electronics is accessed from outside, which is a good point ! Mainboard is a X3 generic, with the same ridiculous heat sink which doesn’t sink anything and needs to be added a big aluminium plate.